There are currently 93,737 users on this website. 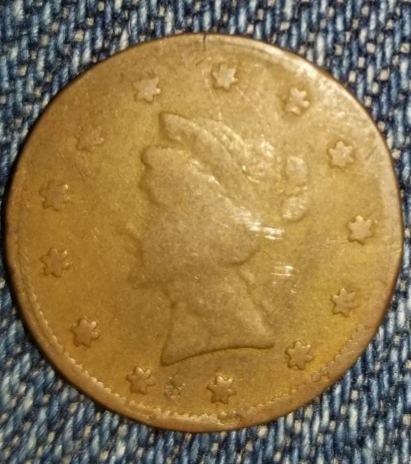 2.5 Liberty Head Coin No Date.i Need Help On This One. Appears to be a super crude imitation of a Library Head $2.50 gold. Im new in coin collector and I have no idea about it. It's a crude replica of a Liberty Head Quarter Eagle. Replica/counterfeit piece that was probably used in jewelry. Jewelry piece imitation probably used for a button or cufflink. By the looks of it, it was never intended to even have a date on it. 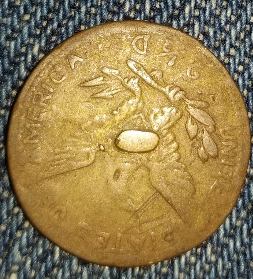 It looks to be antique though, (I use that term with ample caution) I'm certain it's not a coin but it might have value to someone.